The holidays are great for recharging your batteries and spending time with family and friends. When the new year hits, you’re ready to jump into a new diet plan or exercise training program in Phoenix, AZ. Don’t lose that motivation; keep it up and make this the year you finally stick to your resolutions with these tips from Mountainside Fitness. If you took a break from working out last holiday season, don’t be so quick to jump into a high-intensity workout. Going full throttle will leave you feeling burned out by the end of the month. You’ll also run the risk of serious injury and soreness that will force you to stop and miss a few workout days. Start slow and work your way up to a high-intensity workout over the next few weeks. Your build-up time will vary depending on your body, metabolism, and your fitness goals, but good health and habits can’t be rushed. 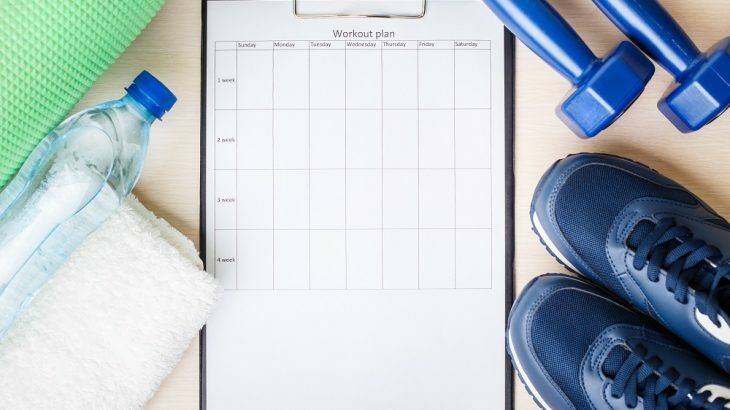 Whether you’re picking up an existing routine or starting fresh, it’s important to set reali stic fitness goals. Losing 100 pounds in a year is a big goal that will require a lot of work and commitment, but it’s easy to become discouraged when you don’t think you’re getting close to your goal. By setting smaller, more realistic goals, you can celebrate small milestones on your path to your ultimate goal. A realistic weight loss goal would be to lose 5-10 pounds a month. However, the first month of a new routine can be difficult because your body is getting used to your new demands. If you don’t make your first month’s goal, that’s okay. Keep up the routine into your second month and celebrate small goals. In addition to setting small goals, making small changes to your daily routine and diet can have a profound impact on your fitness plans. For example, instead of taking the elevator at work, take the stairs instead. The extra calories you burn on your way up will add up at the end of the week, bringing your closer to your weight loss goal as well as increasing your stamina. At lunch, instead of a soda or energy drink, reach for a cup of green tea for a natural pick-me-up that’s loaded with antioxidants. Stretching every day—especially before a workout—is a great habit to develop. Yoga is one way to get in a daily stretch and promote blood circulation. Yoga and light stretching help wake up your muscles and prevent post-workout soreness. Stretching and meditation can also help reduce stress and anxiety because it releases endorphins like serotonin that give you energy and increase happiness. You’ll find a wide variety of yoga or other exercise classes near Phoenix, AZ, at Mountainside Fitness Center.